Abrar Hussain: At least 33 people have been killed and 98 injured in road accidents throughout the country yesterday, reports the Dhaka Tribune. In Gaibandha, 16 people lost lives and 40 were injured when a bus lost control and crashed into a tree on the Rangpur-Dhaka Highway in Palashbari upazila. According to the Dhaka Tribune, the death toll may rise further as the survivors were critically injured. 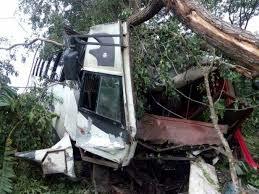 In Sirajganj, a truck driver and helper were killed after their vehicle collided with a bus, injuring 10 others. Police seized both vehicles, but failed to detain the bus driver and helper. In Chattogram, four people were killed and five injured when a bus fell into a ditch by the Chittagong- Rangamati Highway in Rubber Bagan area in Raozan upazila on Friday. The identities of the deceased could not be confirmed as of writing this report. In Savar, a collision between a bus and a truck left one dead and 20 injured. Five of the survivors are in a critical condition. The injured have been admitted to Shaheed Suhrawardy Medical College and Hospital in the capital. The identity of the deceased could not be ascertained immediately. In Gopalganj, two motorcycle passengers were killed and 10 others injured when a bus crushed their motorbike after losing control and then colliding with a van and a bus. In Natore, two were killed and three others injured in a head-on collision between a truck and an auto-rickshaw. In Rangpur, six were killed and 10 injured when a truck ran over the passengers waiting for a double-decker bus in Paglapir area.